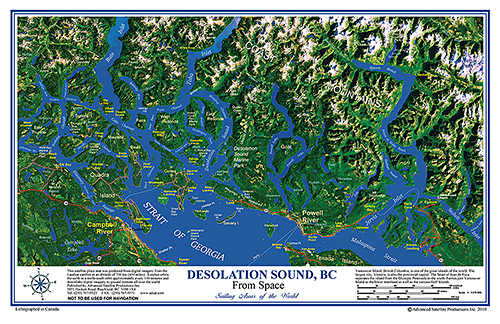 Desolation Sound is a world-famous deep water cruising area for sailboats and other pleasure crafts. With a mild climate, beautiful fjords and rich sea life, this area is popular every summer with local and international sailors, and recreational fishers. Feature: Scale 1 : 384 000 Approx.